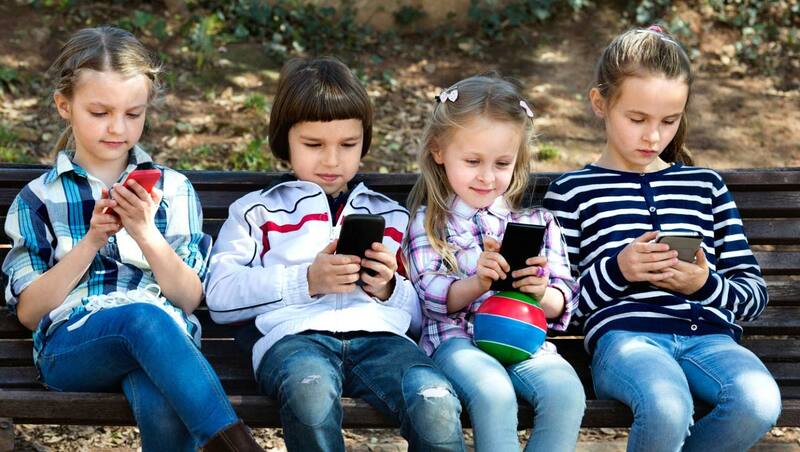 Kids these days cannot keep away from mobile phones and internet thanks to the mesmerizing world that technology has to offer. But is your child addicted to mobile phones? If you know your child well you must know his/her uncontrolled indulgence and dependency on gadgets. It is rather the most common issue in a rapidly developing world of ever advancing technological knowledge and control. Given the scenario of the prevailing century, there is hardly any individual capable of being independent and detached from technology and its convenience. The invention of the mobile phone has marked a milestone for scientific development and paved the way for an absolutely altered, rather malformed living standard of human beings. Rationally speaking, something as crucial as cell phone has become an indispensable aspect of our personal life and to complain of the children being desperately addicted to them is downright unjustified. When children are imbibing in such addictives it is because they are trying to compensate for some inadequacy felt within their environs. And they can’t be blamed solely for such degeneration as not all children are encouraged to find other natural ways of recreation which may include going out into the open to roll in dust and grass without a care in the world. Not all children are tucked into bed with a bedtime story to dream about. All parents need to realize that the child is whatever he/she is raised to be. If you let him grow an over-acquaintance with gadgets and other such technical products, he is bound to grow up into a robotic maniac constantly ambushed with mechanical devices. This is certainly not meant to undermine the ingeniousness of people skilled at technical know-how’s, but to strike the key note of the issue regarding technology addiction. Since we know and feel your concerns, we decided to come up with some strategic advices that may aid you and your child lay off the obsession with phones. Talk to your child – this is more effective than you think it is. A soulful conversation goes a long way in making things clearer and changing them for the better. Tell them about the perilous nature of obsession with phones and computers. Be more engaging and occupied with your child to make her feel less isolated. Allow him/her to go out for recreation—it is preferable not to limit your child to four walls because it will only draw his attention to televisions and phones. Do not compel them to make gadgets the only source of entertainment and recreation. Let them out into the world to unravel mysteries and seek out adventure. Take your child to theatres and entertainment shows – any child is more likely to take greater pleasure in magic shows and puppet shows than burying nose and head into mobile phone. You just need to guide your child the right way for better riddance. Instill reading habits in your child—in a world of electronic tablets and pads, paper might seem to lose importance. The idea is to revive the spirit of tales in paper and pen to raise an imaginative child capable of independent though and action. Above all the mantra of your lesson should be “seek pleasures in tiny joys”. Your website has the most useful information on the internet for parents. Just love it!